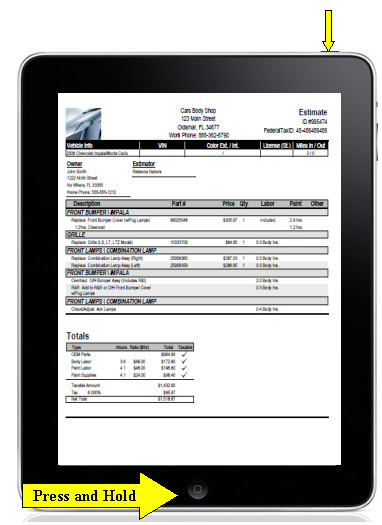 Unlike other leading estimating software products in the market, the Web-Est estimating software product has full functionality with the new Apple iPad. You can create new estimates, add parts graphically, edit estimates and print and email them just as you would from your regular desktop computer. 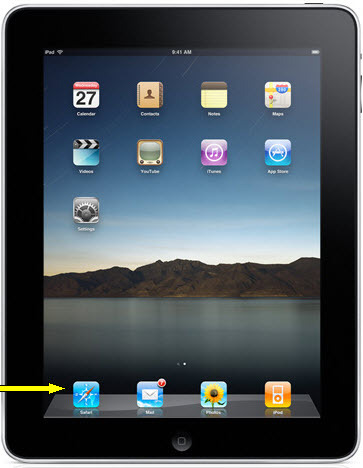 Some information that is helpful when using the iPad to view, email or print the estimates is that the iPad has built-in support for the PDF format. For instance, if you get a PDF document as an email attachment or if you happen to click a PDF link inside the Safari browser, you can read the contents of that file inside the iPad without requiring an external PDF reader app. The same would apply for viewing a Web-Est estimate. Regardless of whether you choose to download one of the apps or just use the built-in support for the PDF format, below you will see how you can save the documents/estimates to your iPad, and then email them. Step 2: Log In to Web-Est as you would normally do and begin writing your estimate. 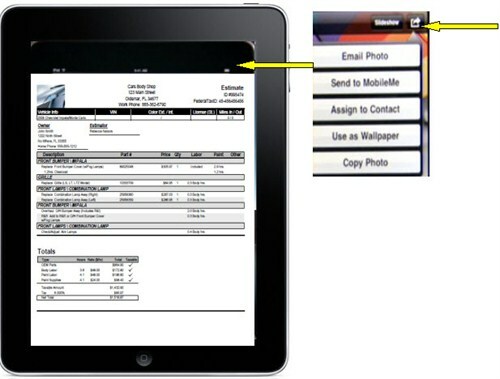 Once you have completed your estimate and you click on "Print Estimate" to view it, then size the estimate to the full screen of your iPad using your thumb & fore-finger, you can then save a copy of that estimate to your iPad and either view it at a later date or email it to an adjuster, a customer or even back to your shop/office if you are out in the field writing estimates. 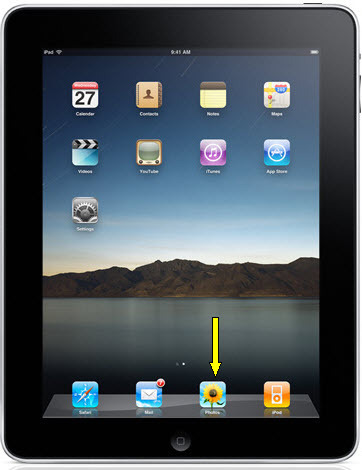 Step 3: While viewing the estimate on your iPad screen, Press and hold the "Function" button at the bottom and at the same time, press the "Power" button at the top of the iPad. Final At this point what you are doing is creating a snapshot image of the estimate on your screen. (Basically a "Screen Print" of what is displaying on your screen) Once you click the power button, you will see your screen refresh. Your estimate has now been saved in your "Photos" folder on your desktop. You can go to your photos, find the estimate and from here you can email the estimate. Step 4: Go to your "Photos" Icon on your desktop. Scroll through the images until you find the correct estimate you are looking for. Open the Image (estimate) so you are able to view it on your screen. Step 5: From this screen, click on the "icon" in the upper right hand corner and a crop down box will appear with options so you will be able to Email the estimate. There are also a few apps out there at the Apple Store that you can download for a minimal fee, which would allow a greater flexibility in managing how you handle your completed estimates. 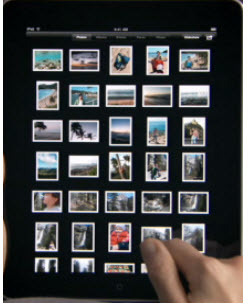 iPad Example Apps Several customers have used the following and it is called Documentz Pro for iPad and is also found in the App Store. Cost is a one-time fee of $6.99. Web-Est offers a free, 14-day Free trial. Click here to start your Free Trial.